* NOTE: Paul Babock will be giving two presentations, one on Friday morning (on Ethanol) and one on Saturday afternoon (on magnetics). Presentation: ETHANOL MYTHS DEBUNKED – Virtually everything negative that has ever been said about Ethanol is false. Learn the real story, the benefits and how easy it is to make your own. Presentation: MAGNETIC ENERGY SECRETS PART 3 – A continuation of the very empowering Parts 1 & 2 of this series. Paul shares several examples of how to prevent the magnetic clashing demanded by Lenz’s Law, which only applies to closed systems. By building open magnetic systems, Lenz’s Law can be either mitigated or completely avoided for higher performance magnetic systems with high efficiency and COPs. Presentation: LORDS PUMP PROJECT – A small isolated village of 2500 people in northern Uganda without potable water, electric power, access to fuel or funds asked for help. The majority of the community is made up of grandmothers and their grandchildren; their own sons and daughters Having been massacred in the great slaughter that occurred under their president Idi Imin a number of years ago.. Christ Aid was raising funds to help the 150 or so grandmothers. Water from a small mountain stream located miles away and behind a 500 ft. Ridge was carried back to the village daily in 5 gallon plastic pails. Christ Aid asked for help. A survey revealed the following; At 10 gal/day/person was required. (100 gal,day is the US standard. ) total 25,000/day. No power available. Limited funds. Plenty of labor. Adequate water from the stream year around. Plastic pipe was available and inexpensive. How to pump water 500 feet high to the village? As a consequence The Lord’s Pump Project was started. This paper presents the inspired answer: A plastic pump operating at 260 psi using the water pumped as the fuel. (The water providing the explosive gases??) 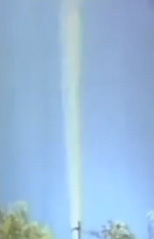 The plasma ignition system will be featured including techniques for liberating explosive gas from water as well the creation of other elements in the plasma and the impact on our present model of the cosmos. The schematics and original proof of concept equipment will be on display and the current status as well as possible other applications will be discussed. 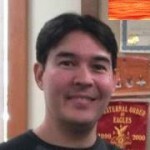 Aaron Murakami has open sourced many gigabytes of his work in Energetic Forum for many years – that includes his work on the plasma ignition, the “Gray Tube”, the water fuel cell technology, the Ainslie inductive resistor circuits and others. He is also a founder of Energetic Forum and Energy Science Forum, which has a combined membership of over 100,000 and is the primary organizer for the Energy Science & Technology Conference. 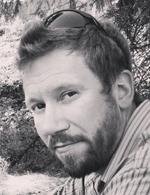 Aaron is committed to the development and distribution of highly disruptive information. He is a former health food store owner and has spearheaded many ventures. 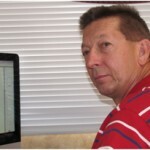 He is a consultant to several technology groups. His books include The Quantum Key and A Course in Mind Power. His invention of the world’s most efficient plasma ignition system that actually ignites water in an engine has been awarded a U.S. Patent. Doug Lindstrom, PhD’s (BC, Canada) schooling consists of an earned Master’s degree in Physics, with specialization in Plasma Physics, and a Doctorate in Mechanical Engineering with a materials’ specialization. He is the Director of the Alpha Instititute of Advanced Studies (AIAS). His working career has lead him through a variety of industries, defense department initiatives, academia, ending at a government research lab where I lead a group of scientists and engineers in advanced materials development . Since retiring from the government he has been applying his knowledge of numerical solution techniques, especially the finite element method, to the solution of the ECE electro-gravitic equations. His experimental and engineering stance requires that these techniques be directly applicable to design of devices intended for manufacture. The ECE equations consist of more than one hundred non-linear partial differential equations written in a four dimensional spacetime. They tend to be quite unstable, and quite resistant to traditional solution methods. Doug has written and co-authored several papers on topics which include electro-gravitic theory and other segments of the ECE theory and co-authored two books with Myron Evans, Horst Eckardt, and others. The focus of his work however, has been to develop a robust solution technique that will allow the design of devices and experiments that highlight the differences between the predictions of the ECE theory and traditional physics, with the goal of achieving a robust design for a “free energy” device. Presentation: BASICS OF ECE THEORY, EXPLAINING LENR AND OTHER OVER-UNITY DEVICES – In honor of the twenty fifth anniversary year of the discovery of cold fusion, this talk was scheduled to be delivered at a mini-conference not a hundred yards from the site of that historic announcement by Pons and Fleishman. The University of Utah chose not to allow its presentation on campus. Instead, it was presented later that day at the local public library. What will be presented in this updated version of that talk is a brief look at physics of the past and present, and how this model is failing. This will lead to a non-technical view of the Einstein-Cartan-Evans unified theory of physics, and how it offers a possible explanation of low energy nuclear reactions and other so called “over unity” processes. Graham Gunderson – One of the few well-funded “overunity” researchers who specializes in verifying other inventor’s energy claims though multiple stages of advanced integrated power analysis techniques. He has also taken independent research of Floyd Sweet’s Vacuum Triode Amplifier (VTA) further than most other researchers. Presentation: MAGNETIC ENERGY SECRETS PART 4 – A continuation of Paul Babcock’s presentation going deeper into magnetic motor and generator technologies. Stephen P. McGreevy (N6NKS) began MW (AMBCB) Dxing and listening to SW in his childhood and this continues on to this day. He is attributed to starting Hawaii’s first Lowfer beacon in 1986 and in 1987 he worked several Japanese Amateur stations using 3 to 5 watts CW mode from northern California using an old Navy ship transmitter. 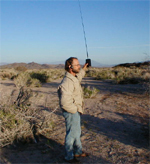 Stephen’s interest in natural VLF radio started in 1988 thanks to Michael Mideke. Heard First “Whistler” live in eastern Oregon high-desert (Alvord Basin) on crude audio filter and 500 meter wire June 1989. In 1990, he developed his first whip-antenna receiver for listening to “whistlers”, an audio event that is caused by natural VLF. This led to Stephen carrying the torch for the amazing world of Natural VLF Radio. Today, enthusiasts all around the world are using Stephen McGreevy’s various VLF receivers to hear the natural Earth sounds that have been hiding right in front of us. As a note of interest, Stephen’s research into Natural VLF Radio is directly related to Eric Dollard’s telluric research. 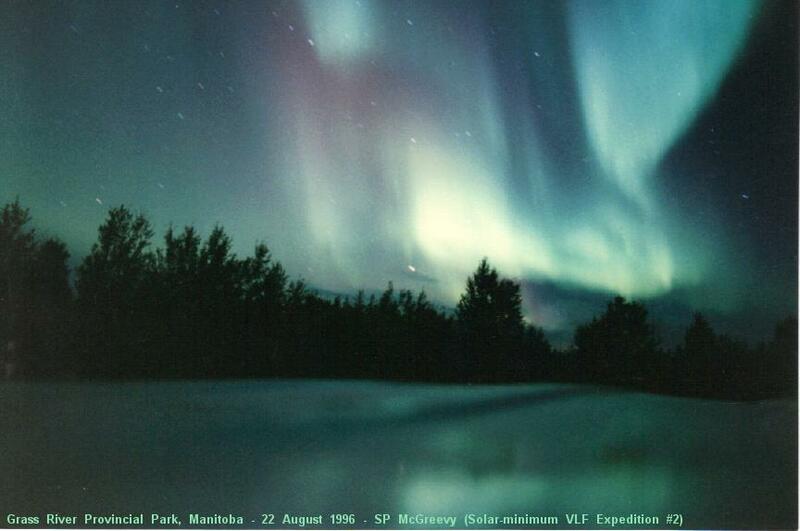 Earth’s magnetosphere and associated space-weather has broad appeal. A few basic schematics will be shared so you can build your own receiver, examples of various receivers developed over the years, audio clips of some of the more profound recordings, explanation of the processes involved that create natural VLF signals like whistlers, chorus, etc., and mind-blowing images and stories of travels around the world while recording these sounds. John Polakowski original field of study was in computer engineering CalPoly. But after having been mentored personally by Eric Dollard over the last several years, he has moved into the field of Electrical Engineering. John is a long time valued contributor to Energetic Forum and has helped Eric Dollard by transcribing many of his notebooks into online posts. He is also the only person to have replicated Eric Dollard’s Cosmic Induction Generator. Presentation: Energy Synthesis via Parametric Variation of Inductance with a Magnetic Amplifier – Magnetic amplifier design and theory developed by Eric Dollard, which demonstrates “Energy Synthesis” or “Free Energy”. Parametric oscillations are known to circumvent the apparent Laws of the Conservation of Energy. Eric Dollard is an Electrical Engineer who is a “living legend” in the field of electrical research. He is considered by many to be the most knowledgeable expert alive today on the true nature of electricity. Author of the landmark mathematical papers Symbolic Representation of Alternating Electric Waves and Symbolic Representation of the Generalized Electric Wave, Eric shows how all electric phenomena can be mathematically measured and engineered WITHOUT using calculus or “Maxwell’s Equations.” Author of Condensed Intro to Tesla Transformers and Theory of Wireless Power, he is also the only person since Tesla’s death to successfully build a real Magnifying Transmitter. His last two conference presentations are Four Quadrant Representation of Electricity and The Extraluminal Transmission Systems of Tesla & Alexanderson. Presentation: The Power of the Aether as Related to Music and Electricity explores possible ways to influence the Aether by methods that have not been discussed in any engineerable manner for many hundreds of years.